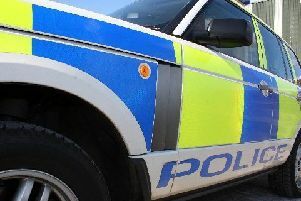 Police in Midlothian are investigating following the serious assault of an 18-year-old man in Eastfield Farm Road, Penicuik. The incident happened at around 12.30am last Sunday (December 3), near to the Subaru garage. The 18-year-old man and a 19-year-old woman were walking home when a verbal altercation took place between them and two men, which resulted in one of the men seriously assaulting the 18-year-old. The 18-year-old male sustained a serious facial injury requiring corrective surgery. Police were later contacted and officers are now investigating. The first suspect, who assaulted the 18-year-old, is described as a white man in his early 30s. He is around 5ft 10” in height, with a large build and brown hair and facial hair. The second suspect is also described as a white man in his early to mid 30s. He is also around 5ft 10” in height with a slim build and greasy mid-length brown hair. He was also clean shaven. Detective Constable Kenny McKenzie of Dalkeith’s Criminal Investigation Department said: “This was a vicious attack on a young man, which has left him with injuries which will take a long time to heal. Those with information can contact officers at Dalkeith CID on 101, quoting incident number 2233 of December 6, or anonymously through Crimestoppers on 0800 555 111.